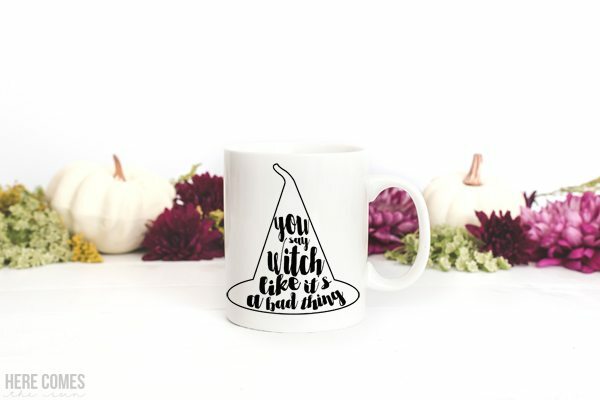 I have been having so much fun lately browsing all the Halloween goodness. All the pumpkins, and cute costumes make me wish that it felt a little bit more like Fall here and not the 87 degrees that we are supposed to reach today. UGH. 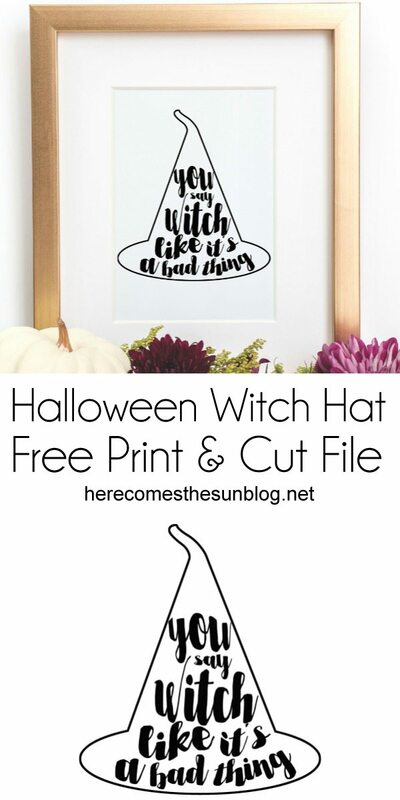 I’ve been itching to create some Halloween crafts and came up with this cute Halloween witch hat print AND cut file for you today. I saw this saying the other day and just KNEW I had to create my own version. I’m so in love with the way this turned out and I know you’ll find a use for it. 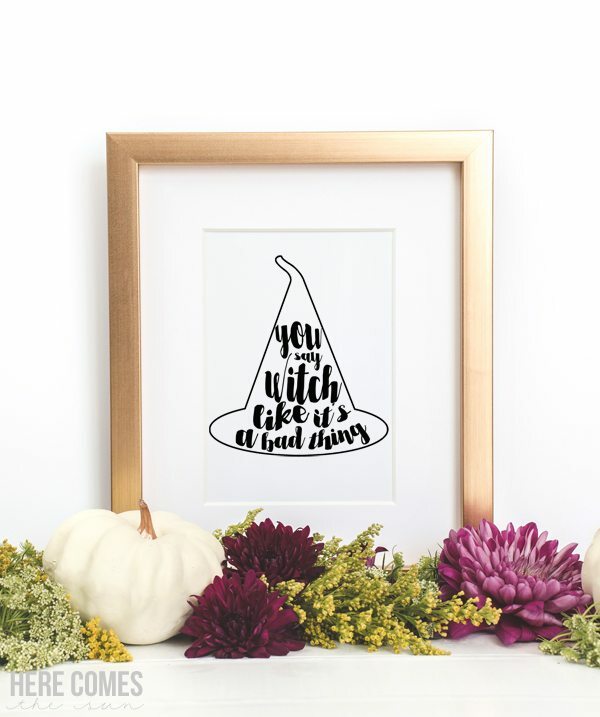 The print is an 8×10 PDF and the cut file comes in SVG format for Cricut users and a Studio3 format for Silhouette users. Don’t have a cutting machine? If you are a serious crafter or wannabe serious crafter, I highly recommend you purchase one. Just click the links above and get your hands on all the goodness. You can access the file in the resource library, below. The cut file would look great on a tshirt or a mug. I know that my morning coffee mug could definitely use a saying like this. I have a friend who does a morning mugshot series on Instagram every day. She has quite the collection of mugs and I think she needs to add this one to her series. If you are going to put this design onto a shirt, you need to use heat transfer vinyl. Need help learning how to use heat transfer vinyl? Head on over to this post to learn how. Check out this post to learn how to apply vinyl to a mug. Like this post and want more? Check out all of my cut files here.